What can you do with 200 pennies a day? It’s not what you earn, but what you save? which turns into it’s not what you save, but what you invest? As I began to think about that idea my eyes began to notice penny after penny on the ground as I go through my day. Investing into something was always an idea I’d play around with from time to time, however with my resources already accounted for the risk just didn’t make sense. Well I started to collect every bit of loose change I could find to build a bank account big enough to start investing. When my pocket change wasn’t enough, I would pick up pennies off the ground where ever I would find them. If I would see a bottle or cans on the ground that can be taken back for a 5 cent redemption. That’s when I began to notice at least 200 pennies a day were being collected. Whether it be 5cent through bottle redemption (not available in all states) or pennies found on the ground I was seeing at least 200 pennies/day. So the question was asked by a young local who became curious of my actions. What can you do with $2/day? To do the math we will find $2/day equals $60/mo totaling $720/yr with that info here are just a few things that can be done. Invest, Invest, and invest with zero risk. Between penny stocks, online subscriptions, education, and products a lot can be done with $60/mo at no out-of-pocket cost to you. Here is exactly what you can do with 200 pennies a day. Find a way to make it grow! Now on a large scale $2/day is nothing to sustain an impact full lifestyle so we need to realistically look at what can be done. Research is needed to make an educated decision on how to invest that $2. After just one month time you will have $60 to play with. 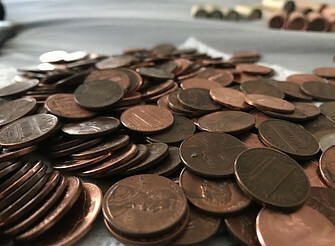 If you’re finding this loose change through cans, or pennies on the ground then you will be taking NO RISK on your dollar as it wasn’t made through sweat equity. It’s free money to invest if you will! 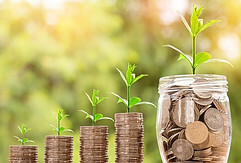 Investments do not always mean stocks, or even products to sell, but a simple self investment is just as good an investment as any if not better. Finding a way to turn that $2 into more will take some creativity, and patience so don’t be discouraged but encouraged to keep seeking through trial and error for a way to increase your $$ value. Penny stocks are a thing! As I don’t have all information needed to give you 100% guidance on this subject I will say that I have been doing my research and so far earning is a possibility with penny stocks. Before placing money into any program I suggest all to do thorough research of the companies past, and plans for the future. I did a little reading over at timothysykes.com where they give you a more detailed outlook on what to expect, how to get started, and how to profit from a penny stock. They spoke of a free e-book, however there may be a fee involved somewhere. I can’t see someone giving away valuable information. The goal is to make extra cash so I would be Leary to buy into steep prices for someones thoughts. There must be value in the education offered & by using the spare change collected, found, and saved you can truly make a low risk investment that just may have on outcome that will change your life forever! This is where we can take our $60 and find out what we are truly made of. If we find a way to invest in ourselves with becoming educated on how to become self-sufficient. In today world the internet offers a lot of ways to begin working for yourself. Unfortunately they are either way out of the sixty dollar range, or do not hold valuable information for you to succeed. Thankfully there is a program found that will not only teach you, but give you the necessary tools to be of success. I’m talking about wealthy affiliate! That’s right! I did a review on the whole system and how it works. In fact, I am giving out a bonus to all that take the time out to give the program a try. At just $49.95 you can begin a new venture in affiliate marketing by building a website and marketing products to gain a sales commission. What makes this the greatest investment is the value in the information that is shared. You can learn keyword mastery, SEO, and local marketing. To succeed depends on how you approach your business. If I told you that you can run a business for under $2/day you may think I was joking or lying. So I ask you in return what can you do with 200 pennies a day? 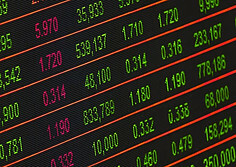 Will you find penny stocks to invest in? Will you think about securing your future and invest in yourself? Whatever you choose, remember that it doesn’t’t matter how much you make or save, but what are you investing. You think it takes a lot when that just isn’t the case. The information is a google search away it’s up to you to find it and apply it. Taking control of your situation is the only way to become self-reliant. The world doesn’t just drop opportunity on us instead it rewards us for our efforts. It’s only 200 pennies so if you believe it’s something you can’t do then investments will be pointless to try. The challenge has been extended to you, and I offer you a program and an idea to become independent. What will you choose? Don’t forget to read my review on wealthy affiliate and leave a comment on what you would do with your 200 pennies a day. 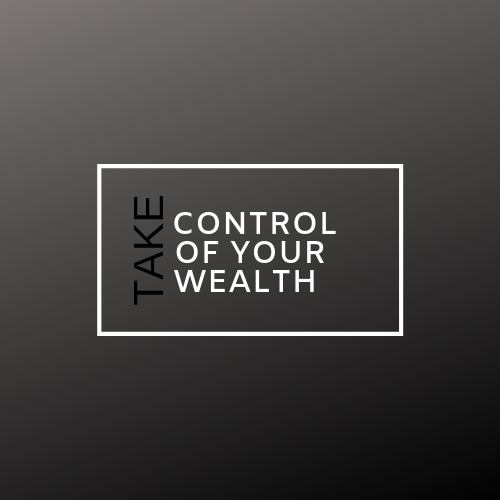 I’m here to take control and offer ways for you to do the same. Previous post: Mobile app developers need help! But will they pay you? Pennies surely add up quick! just think about the five dollar cup of coffee many of us buy on our way to work. Make your own instead, and put the other 4.50 into something to invest. Robinhood is what I recommend when it comes to investing a small amount of money. Thank you for sharing, and yes robin hood is a great site to invest with as my next go round will be highlighting that website. I agree. It’s important to take inventory on what you are already spending “too much” money on and switch gears a bit . Here’s the thing! I wrote this article over a year ago maybe and i left the site for a while due to time constraints, but i plan to give more of my thoughts so that we may figure out the best way to gain control. The plan is to nut just touch money but every aspect of our life that we need to view as valuable and create wealth where true VALUE lies. I am a firm believer that wealth cannot just be associated with dollar amounts! I hope to gain you as a reader as i push forward. This article was very interesting. Pennies really can add up and if you save it, you can have a good amount of $. Really the best way to invest with pennies. Good job keep up the work! Not only do they add up but they are the beginning of all currency! Everything begins with the penny! I had never hear of penny stocks before i read this. Very interesting, i remember telling my grandmother that pennies aren’t worth saving and she responded with “10 pennies make a dime.” In other words one by itself may not be much but in quantities they add up. Your grandmother was wise! The best part about the penny is that everyone holds the exact thought that you do. “the penny isn’t worth saving” So the streets become littered with them. Which makes me happy because my investment account keeps growing. I’ll have to start saving my coins! I remember Bank of America having a keep the change programme where they put the extra ‘change’ from your transactions directly into a savings acct. That’s what came up when I read your post. But yes, a little money everyday goes a long way! Ahh yes I remember that program from bank of America. It only goes a long way if its used properly. To save and let it sit wouldn’t make much sense while it makes no sense to save just to waste it on something that doesn’t bring much value to you. Papa Jones! I love the name, and I loved reading this blog post. Imagine what you could do with 500 pennies a day. You mentioned penny stocks. Have you ever traded anything like crypto-currencies? They are really exciting to trade because they are quite volatile. Sometimes you can earn up to 300% in one day. Beware though, because you could lose that much too. Haha. Do you own research. Hey Patrick thanks for leaving a comment! Yes I have heard of crypto and I am doing a lot of research before I indulge! Boy that’s a really good article. What would I do with 200 pennies? I dunno…I would probably spend it since money’s like water to me lol. Could explain why I’m so poor most of the time. No, I would probably put it all in a jar, and then I would put the jar in a safe place till I filled up the jar. Once the jar would be filled, I would stash it away, and start putting pennies in another jar. After I would save up like 10 jars, I would put all 10 jars in my bank account and start fresh again. That’s how I would do it. I’ve heard of Penny Stocks but I’m really skeptical when it comes to the stock market. Sure, market prices are good now, but you could potentially loose a bunch of money too right? It sounds like to me that the stock market is a form of gambling. I could be wrong though. Great article though, good thought provoker. Thanks for sharing your way of penny stacking! It’s only gambling if you don’t know what you are doing. It’s definitely for the risk takers, and courageous I wouldn’t advise that for all! You can for sure lose all you have if you aren’t careful, but that’s the adventure of life. No risk, No reward! I find investing only in things I stand behind, or educated about. Saving is always a good thing I just find that to be wasteful for peenies and cans that i find on the ground throughout my day. This is free money that i’d rather put to work. The investment for all is when in it is self investment. Use those extra dividends to better your situation with courses or a program of some sort. Thanks again for coming by and sharing your penny stacking habits! But the better investment is in yourself with education, or any other form of advancement.